This is the fourth in a six-part series highlighting the research and recommendations of a recent Center for American Progress report, “China’s Real Leadership Question.” The report explains the major players and factors in China’s upcoming political transition and describes the numerous challenges the country faces during the transition and well into the future. China’s once-a-decade political transition does not just affect its own leaders and citizens. It also has repercussions throughout the world, especially in the United States. From a U.S. perspective, we need to prepare to deal with a China that is increasingly divided and uncertain about its future. Going forward, different Chinese leaders may send very different signals about where their country is headed. That will require U.S. policymakers to spend more time examining and understanding what exactly is happening in Beijing and what the Chinese leadership is facing at home. 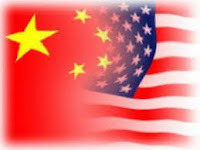 At present, at almost every high-level leadership meeting between the United States and China, it is a fair bet that the Chinese know more about what is going on in the United States than vice versa. That is partly because the United States has a more transparent political system, but also because Chinese leaders consider our nation to be their most important counterpart. Beijing therefore places a very high priority on understanding our society and our federal system. That prioritization and attention is not fully reciprocated. To be sure, we have top China analysts at the State Department and in other government agencies who do a very, very good job of tracking what the various elements in China are doing. But we simply do not have enough of them. Until recently, that has not been a major problem because as long as the Chinese Communist Party spoke with one voice, China has been fairly easy to deal with. Now, however, the party is becoming more fragmented both in Beijing and around the country. There is a huge amount of confusion and indecision in Beijing and at the provincial and local levels over how to deal with China’s growing challenges. All of these multiplying voices coming out of the party are making China a more complex foreign policy partner. The United States will have to get smarter and learn to deal with this new dynamic. U.S. policymakers must develop a better understanding of where individual Chinese leaders, bureaucratic agencies, and regions stand on critical bilateral issues. Approaching China without that understanding would be like approaching the United States without knowing the U.S. political party divides or the different roles of state and local governments and the federal government. It could easily lead to major foreign policy miscalculations. And as the United States begins to put more focus on Asia, it is crucial for both countries to not let growing insecurities about each other’s role and power dominate the decision-making process and lead to actions based on fear and distrust. Both nations must instead come to terms with the importance of a productive relationship and not lose sight of the big picture: Both countries need each other, and working cooperatively can lead to desired results on all sides. The United States will also need to keep a vigilant eye on China’s domestic problems and be prepared to deal with any attempts by Chinese leadership to deal with those problems by pointing accusing fingers abroad. When Chinese leaders fail to meet citizens’ demands on critical domestic issues, one way to deflect blame is to shift the public’s attention toward foreign disputes, especially those involving the United States. On economic issues, for example, the Chinese Communist Party propaganda machine may blame slowing economic growth on U.S. import tariffs, U.S. refusals to share key technologies, or an international trade system designed to benefit the United States and other developed countries at China’s expense. If the United States is to keep these types of accusations from triggering major bilateral conflicts, then we will have to deploy a steady and knowledgeable hand. Similarly, the Communist Party might turn to military jingoism to deflect rising domestic anger, pushing already well-developed nationalist buttons in the state media and even in the independent social media by paying people to post comments online. Government-paid Internet commenters are so common in China they are now known as the “fifty-cent party”—in reference to the amount of money they reportedly receive for each pro-government posting. The 2008 protests in Tibet demonstrated how quickly Chinese leaders can use nationalist rhetoric to throw the Chinese pubic into an antiforeign furor. The Tibet protests attracted a huge amount of media attention and sparked a wave of international criticism over rights abuses. The last thing Chinese leaders wanted to discuss was Tibetan complaints about rights abuses under Chinese Communist Party rule, so they framed the international criticism as a case of Western nations (particularly European nations) interfering in China’s sovereignty and territorial integrity. Chinese citizens responded by rallying behind Beijing and staging nationalist protests at home and around the globe. Fast forward to 2012. A series of tense military standoffs over a contested island chain in the East China Sea resulted in the Communist Party once again fanning the flames of nationalism, this time against Japan. The Japanese government announced plans to buy a contested island from a Japanese family, which in the Chinese view is a departure from the mutually agreed upon status quo. China’s state-run press flooded the Chinese airwaves with strong statements accusing Japan of violating Chinese sovereignty and Chinese officials encouraged their citizens to flood the streets with anti-Japan mass protests. This was not the first time Beijing used nationalism to send the citizens out into the streets to up the pressure on Japan to back down in a bilateral dispute. Things got a bit out of hand this time, however, with Chinese mobs attacking Japanese cars on the road and assaulting the Japanese embassy. The result is a downturn in the sale of Japanese goods in China, a sharp drop in Japanese tourists to China, and Japan Inc. rethinking its reliance on China as its cheap factory assembly floor. This pattern of government-stoked nationalism is very dangerous, because once Chinese leaders whip their citizens into a nationalistic fury they may then have to take a very hard line to avoid appearing to cave in to foreign pressure. § China’s elite leadership politics in the broadest sense of the term, including leadership transitions, the formal and informal norms that guide political behavior in China, and the factional politics that may grow increasingly contentious over the next 10 years. China’s power dynamics are complex, but the only way U.S. leaders can understand how their Chinese counterparts will behave on the policy front is to understand the chess games being played behind closed doors in Beijing. China has long followed U.S. elections and congressional scuffles to predict what our leaders will do. It is time for us to do the same. § The dynamics between central and local government leaders. Beijing makes a lot of promises, but local governments are often responsible for carrying them out, and they do not always do so. On issues such as intellectual property enforcement and export subsidies, most of the action is at the local government level. The United States needs to develop better approaches to those problems, and the way to do that is to develop approaches that take China’s central-local enforcement problems into account. § The Chinese citizens’ increasing demands and the challenges Chinese leaders face when they attempt to meet those demands without democratizing. Beijing’s ability to do that will determine how long the current system can last. Chinese leaders are master strategists. They have to be to make it up the ranks in the Chinese Communist Party. They apply those same tactics to their dealings with the United States, and one of the first things they do is get to know their opponent very, very well. Washington is not a utopian playground—our own politicians are also very good strategists. It’s time for us to follow China’s example and apply the skills we have developed at home to better understand our foreign policy partners abroad. That is the only way we can manage this relationship and protect our interests while China deals with the challenges ahead. To read the full report, “China’s Real Leadership Question,” click here. NOTE-- Melanie Hart is a Policy Analyst for Chinese Energy and Climate Policy at the Center for American Progress.